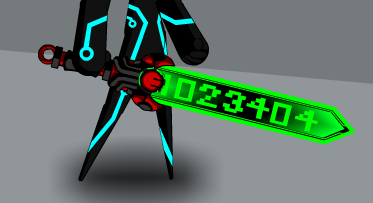 Description: Its a sword from Ebilcorp! Note: Numbers that read across say: "1023404" and "2046808". Thanks to Sik and 1023404.